Hi there! I know it's been awhile... hope you're doing well. Stamping time has been limited these last couple of weeks, but I'm back today with a card to share! 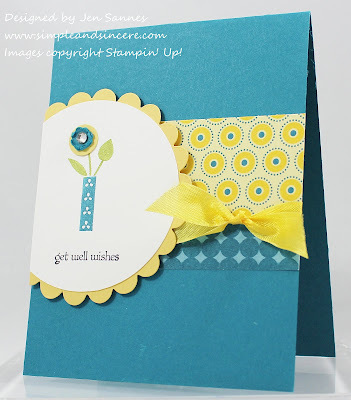 I used Fall-to-Layout #30 for this card, along with the Summer Smooches designer paper and Bright Blossoms stamp set. So cheery and fun! I meant to get this card posted during the month of April, but no luck. If you didn't get a chance to order your Summer Smooches Suite, don't worry. The new catalog will be here soon and you can get your hands on it then.